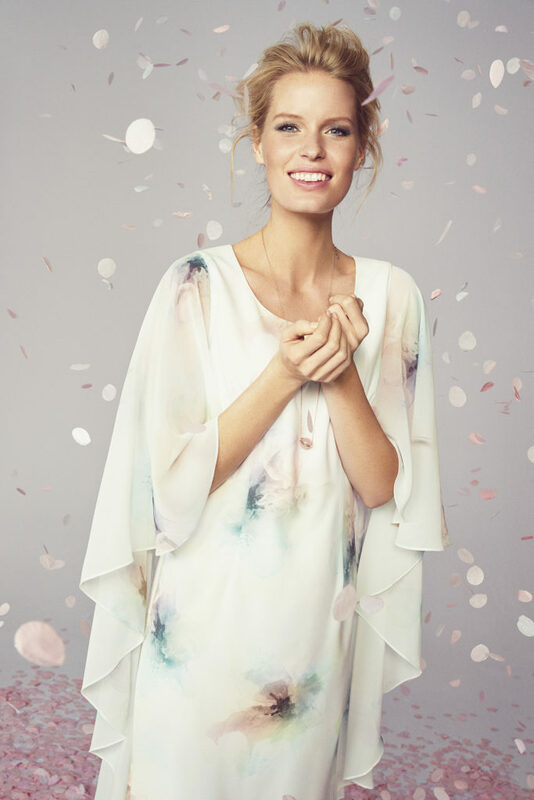 Fronted by world-renowned supermodel and ex-Victoria Secret Angel Caroline Winberg, the Magic in the Moment campaign showcases a new collection of feminine separates and dresses designed for all occasions that are full of glamour, style, charm and excitement. Luxury lace, hand painted chiffon and premium jacquards in a contemporary palette of pale sunshine, dusted mint and artisan pink are worked back with silver grey. Soft fluid silhouettes, draped angel sleeves and premium fabrics complete this season’s gorgeous contemporary collection.